I am a dual fellowhip trained orthopaedic spine surgery with fellowship training in orthopaedic spine surgery and neurosurgery of the spine. I have utilizes the latest advances in spine surgery, including minimally invasive techniques and motion preservation technology. "Very fine doctor. Good listener. Conservative in his approach. I liked that!" "I have never met a more compassionate, kind and dedicated doctor. One who truly have a love for what he is doing. He treated me like a family member. Her gave me back my life." "Initial wait time was long but Dr. Verma gave me 100% of his attention while in the exam room with me. He clearly cared about my well-being and didn't rush the exam at all." "You are in good hands!!!" "Dr. Verma is the best! He explains everything completely and patiently answers my lists of questions. He treated me with caring and kindness and is obviously a greatly skilled surgeon as I am doing incredibly well. His friendliness and real compassion made a difficult process much easier!" "I would and have recommended Dr. Verma to people"
"Dr. Verma is a great care provider." "Dr. Verma is an amazing surgeon. He gave me confidence and made me feel very comfortable pre and post surgery. He is very caring and friendly. I am so thankful for all that he did for me and my husband and definitely recommend him to others who need spine surgery." "first appiontment but went well." "Dr. Verma happens to be very friendly, nice and takes his time with me." "The service was/is outstanding. " "Dr. Verma is the consummate professional. He spends an inordinate amount of time with me, is extremely affable and I trust his recommendations completely. He is an excellent technician as well as a genuinely nice person and is the type of physician and surgeon that should be the type-set for others." "I am very impressed with Dr. Verma"
"everything was excellent.. they help,explain any questions or concerns I had to their best"
"Dr. Verma and his staff were EXCELLENT!! AND - Was seen at the time I was scheduled. " "I was so stressed for months about my condition and Dr. Verma instantly set me at ease with his attentiveness, attention to details, thoroughness, expertise and professionalism." "Based on my positive experience with Dr. Rokito, I requested a back specialist after my injury and was connected with Dr. Verma. I am thrilled with my decision to trust this facility and was rewarded with another great doctor who took the time to know me, my history, my problem, and see it through from start to finish." "I thanked Dr. Verma profusely. I truly believe that God has blessed him with very skillful hands - I was truly terrified by the thought of the surgery & all the horror stories/had heard. Dr. Verma reassured me & calmed me fears." "Physician was very helpful and understanding in every aspect of my surgery." "Dr. Verma took the time to go over my problem by showing me and explaining what was going on while advising me what to do. Very comfortable asking questions and a very thorough explanation, excellent Doctor!" "3 others of my... goes to this doctor. I'm very happy... care _____ recommended him." "Finally, a positive experience and hope for relief of pain and injury." 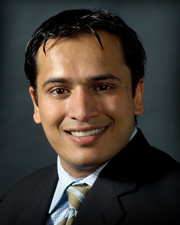 "Dr. Verma has a wonderful bedside manner and always listens and gently explains and answers any questions. He is a true professional and it is obvious that he cares about his patients." "Good doctor - kind, patient, made me feel good professional he & assistant very. " "Dr. Verna is very good. He stated my problem is not spine related." "the doctor spent maybe 3 minutes with me. terrible"
"dr Verma is very good at his job"
"Dr. Verma always listens and helps me with my health problems." "Dr. Verma explained options for dealing with my issues without pushing me to surgery." "I will not change my doctor." "Will be returning to this provider for another surgical procedure (with the upmost confidence) and I've already recommended his services to others"
"I enjoyed my experience with the doctor and staff." "Dr. Verma always treats me as if I were his friend. Very personable as well as professional and always showed concern in my situation. Excellent provider." "Dr. Verma has & feels compassion for the physical pain, of human being, he is excellent professional God blessing." "Dr. Verma is an exceptionally caring and conscientious doctor"
"The provider treated me very well I was happy." "I love Dr. Verma, Rohit he is the best surgery. I have experience friendly, I understood. When he explain my problem to me before surgery. I had confidence in him he said don't worry. I will take care of you and that I believe surgery was successful. Thank God." "Dr. Verma was very kind to me he make me feel so comfortable to talk to him." "Dr. Verma was recommended to us through friends we are now recommending Dr. Verma." "Dr. Verma is a physician with a caring heart. I always sing his praises." "Dr. R. Verma gives a lot of himself: So sorry I did not meet him before my surgery Aug. 2013." "First impression of this Dr. he is professional, confident, caring, clean, friendly. just the kind of doctor you want to take care of you"
"Dr verma is an excellent surgeon who gave my life back . After my spin surgery in march 2015 i was able to go back to my normal life style." "Bad experience, the level of arrogance this provider has is alarming. Going for a second opinion!" "I would be very happy to recommend Dr.Verma to friends and family." "My doctor, Dr. Rohit Verma, is simply the best." "I always highly recommend this provider." "Dr. & staff were friendly interested & helpful." "They were all very good." "Everyone who cared about my health was exceptionally helpful in every ways. Excellent performance by Dr. Verma ." "I have the utmost respect for Dr. Verma and have already recommended him to other people with spinal issues."